XL xystems are available on a wide variety of Class 2-6 vehicles from Ford, Chevrolet, GMC and Isuzu. Commercial and municipal fleets love their work trucks – but they also love saving money on fuel and reducing emissions. With a Fleet-Ready hybrid or plug-in hybrid electric drive upfit from XL, you no longer need to choose between performance and sustainability – you’ll get both. 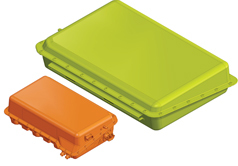 XL systems are available on a wide variety of Class 2-6 vehicles from Ford, Chevrolet, GMC and Isuzu. Instead of asking your drivers and service teams to deal with unproven or unfamiliar vehicles, hand them the keys to a time-tested favorite from a trusted manufacturer. In addition to our close partnerships with the major fleet vehicle OEMs who certify our work, XL systems are minimally disruptive to the original design of the vehicle. As a result, all factory OEM warranties remain intact. Let’s face it. Many all-electric and alternative fuel vehicles don’t get driven, because the trucks don’t perform the way drivers need them to. XL-upfitted vehicles offer the same great performance as the vehicles they’ve always relied on, but with lower fuel costs and fewer emissions. 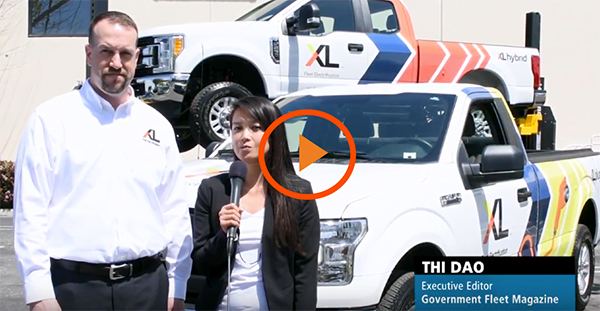 Drivers and service teams love the fact that XL-equipped vehicles require no driver training and little to no operational changes from what they’re used to. There are no range concerns, drivability challenges or unusual service requirements. XL systems provide the bridge between the gas-powered fleet vehicles of today and a future where electrified vehicles are the norm. And we continue to build new technologies that will help our customers leverage electrification in all its forms, for decades to come. The OEM’s powertrain (engine and transmission), and fuel and exhaust systems stay completely intact and unmodified. The OEM warranty also stays intact for customer peace of mind. Provides regenerative braking on vehicle deceleration, and electric assist on acceleration to help propel the vehicle, and save fuel. 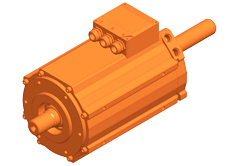 Controls the current flow between the battery and the electric traction motor. 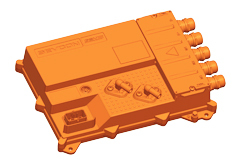 Our proprietary XL Link™ technology provides a continuous data link from each hybrid vehicle to measure system performance. In the XLH™ hybrid system, a 1.8 kWh lithium battery stores regenerative braking energy. In the XLP™ plug-in system, an over 15 kWh battery offers both regenerative braking and plug-in charging capacity. Traditional gas-powered, commercial fleet trucks perform critically important work, but cause more pollution and burn more fuel than any other vehicles on the road. It’s a complex problem, but we take a simple approach to making those same vehicles cleaner, greener and more sustainable. Both our hybrid and plug-in hybrid technologies transform a factory OEM vehicle into a more fuel-efficient hybrid, by adding an electric motor, an advanced lithium-ion battery pack, and control software. No other significant modifications to the vehicle are required, and no changes are made to the internal combustion engine or transmission. The XL hybrid electric system is the best and simplest way for fleets to improve MPG and meet sustainability goals without compromising on operations or vehicle performance. The XLH system saves fuel and reduces emissions through regenerative braking, helping to slow down and propel the vehicle during normal drive cycles. The electric motor assist is smooth and seamless to the driver. XL has pioneered a plug-in hybrid system that is revolutionary in its simplicity. In addition to regenerative braking, the XLP features a high-voltage, 15 kWh lithium battery pack that provides a ‘shared propulsion’ with the OEM powertrain to significantly improve MPG and reduce fuel consumption. XLP is compatible with Level 1 and Level 2 charging and has no special maintenance requirements. Our proprietary, cloud-based, vehicle connectivity platform provides a continuous data link with fleet vehicles and analytics. Collecting millions of operational data points, XL Link provides actionable intelligence on fleet electrification, including speed, idling, vehicle drive cycle, and CO2 emissions reduction. XL Link offers the most accurate MPG measurement in the industry and provides fleet managers with an unprecedented understanding of their drivers’ vehicle charging behavior. 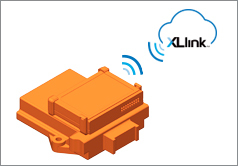 XL Link is deployed in all fleet vehicles equipped with XLH or XLP systems and can also be installed as a standalone telematics solution.